In recently reading Per Petterson’s latest novel, I Refuse (Graywolf Press, 2015), I was reminded of the talent of many writers, such as Petterson, to elevate setting to the level of character in their fiction. In this essay I discuss “setting as character” and cite examples from contemporary literature. In the Writers’ Notes, I provide some ideas for creating settings that act as characters. It’s hard to imagine Norwegian Per Petterson’s novels and short stories taking place anywhere else but in the cold, stark landscape of Scandanavia. Canadian Alistair McLeod’s novels and short stories belong to the wild and windy Cape Breton Island of Nova Scotia. And the distinctive but brutal land of double-wide trailers, aging cars, and lost souls that dominates the novels and short stories of American writer Ron Rash is distinctly Appalachia. These three writers bring setting out of the background, where it dwells in most fiction, and deliver it to the forefront, where they breathe full life into it. They blend setting, plot, and character so skillfully that it’s hard to distinguish one from the other. Setting is “not a flat, static backdrop against which our characters move and speak,” writes Jill Nelson. “It is a living, fluid element with which our characters interact much like another character in the story.” And setting encompasses more than geography—it includes the culture, economy, religion, politics, and values of a place and its people—with the power to dramatically shape character and plot. Petterson describes the landscape in stark and sparse prose in the same way he treats his characters. His stoic characters often live and work alone, “in contemplative isolation or listening to the silence of the Norwegian countryside,” many of their thoughts and actions determined by their surroundings. All my life I have longed to be alone in a place like this. Even when everything was going well, as it often did. I can say that much. That it often did. I have been lucky. But even then, for instance in the middle of an embrace and someone whispering words in my ear I wanted to hear, I could suddenly get a longing to be in a place where there was only silence. Years might go by and I did not think about it, but that does not mean that I did not long to be there. And now I am here, and it is almost exactly as I had imagined it. Alistair MacLeod had a talent for “turning geography into character,” wrote New York Times reviewer Martin Arnold. Most of his stories are set in Cape Breton on the eastern shore of Canada where he grew up. “His characters are fishermen, a ‘mad woman’ lighthouse keeper, loggers, miners, their wives and children and their ancestors back many generations. And always the geography.” As they battle the generosity and cruelness of their environment to make a living, MacLeod’s characters live with the daily threat of death at sea, on the land, or underground in the mines. It is hard to realize that this is the same ocean that is the crystal blue of summer when only the thin oil-slicks left by the fishing boats or the startling whiteness of the riding seagulls mar its azure sameness. Now it is roiled and angry, and almost anguished; hurling up the brown dirty balls of scudding foam, the sticks of pulpwood from some lonely freighter, the caps of unknown men, buoys from mangled fishing nets and the inevitable bottles that contained no messages. And always also the shreds of blackened and stringy seaweed that it has ripped and torn from its own lower regions, as if this is the season for self-mutilation–the pulling out of the secret, private, unseen hair. It is rare that an author can capture the complexities of a place as though it were a person, and rarer still that one can reveal a land as dichotomous and fractious as Appalachia—a muse; a siren; a rugged, brutal landscape of exceptional beauty, promise, and suffering—with the honesty and precision of a photograph. Ron Rash is that rare writer who has captured the place of Appalachia “as though it were a person.” Rash’s fiction “takes you to a world apart, psychologically and geographically,” writes NPR reviewer Maureen Corrigan. The characters who populate the hollows and gorges of this rough and remote western North and South Carolina land often live in despair as they continually confront the darker side of life, including unending poverty, meth addiction, murder, and grief. Many seem to have lost almost everything but their pride, but they are tough in their acceptance of fate and have learned the art of survival in this harsh environment where family ties and traditions run deep. He imagined towns where hungry men hung on boxcars looking for work that couldn’t be found, shacks where families lived who didn’t even have one swaybacked milk cow. He imagined cities where blood stained the sidewalks beneath buildings tall as ridges. He tried to imagine a place worse than where he was. 1. Write about places you know. Writers such as Petterson, MacLeod, and Rash who demonstrate the talent to “turn geography into character” write about places where they live or lived significant portions of their lives. Whether sketching specific details or painting a broader landscape with descriptions that speak to all of the senses, these writers demonstrate an intimate knowledge—and affinity—for these settings. American Indian novelist and short story writer Sherman Alexie, who describes himself as a “rez kid who’s gone urban,” is one of the first writers to focus on the urban experience of American Indians where the majority, including Alexie, now live. The “setting as character” in many of his short stories is the confusing urban space that now shapes the lives of many contemporary Indians who are caught between two worlds and find they fit into neither. While trying to assimilate into the dominant white culture, they risk the sacrifice of both their personal and cultural identities. One day you have a home and the next you don’t, but I’m not going to tell you my particular reasons for being homeless, because it’s my secret story, and Indians have to work hard to keep secrets from hungry white folks. I’ve been homeless for six years now. If there’s such a thing as an effective homeless man, then I suppose I’m effective. Being homeless is probably the only thing I’ve ever been good at. I know where to get the best free food. I’ve made friends with restaurant and convenience-store managers who let me use their bathrooms. 2. Integrate plot, character, and setting in your mind as you think and write. Writers who transform setting into character also demonstrate the ability to seamlessly weave together plot, character, and setting. As their novels and short stories are crafted, it is obvious that these fictional elements are inseparable in their minds. Early in her career, Nigerian novelist and short story writer Chimamanda Ngozi Adichie chose to ignore the well-intention advice of a writing instructor who told her to move the setting of a story because “Nobody knows where Nigeria is and nobody cares.” Her award-winning fiction illustrates how the “setting as character” civil war, violence, and corruption that have dominated her home country for the past half-century have defined the lives of ordinary citizens. 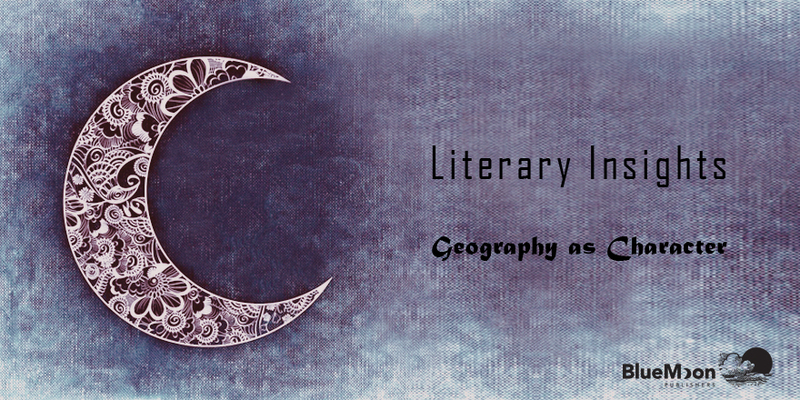 How do you integrate geography as character in your writing?